The minnies had a gift card that was practically burning a hole in their little wallets and had been begging me to take them to Target. As usual, we found some fabulous goodies in the store, especially in the "dollar section." 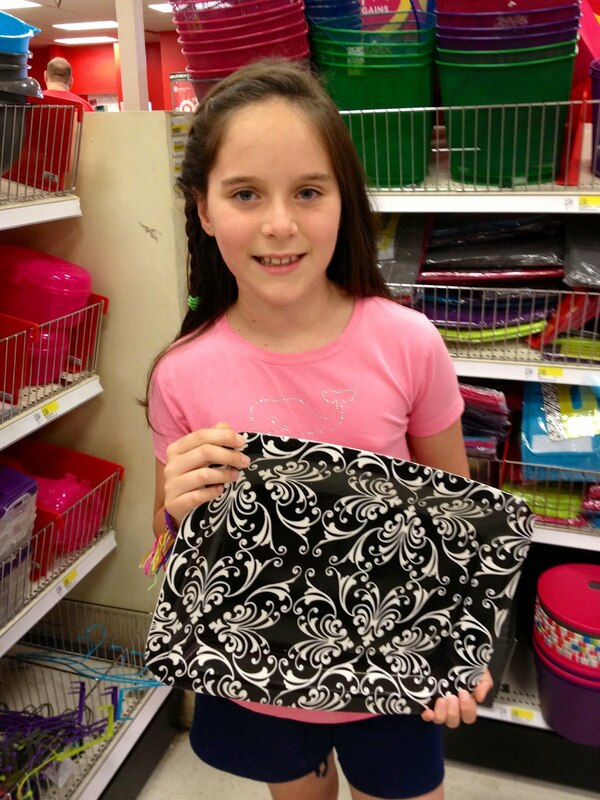 Target now has an extensive collection of great gifts that are usually found only in boutique or gift stores. 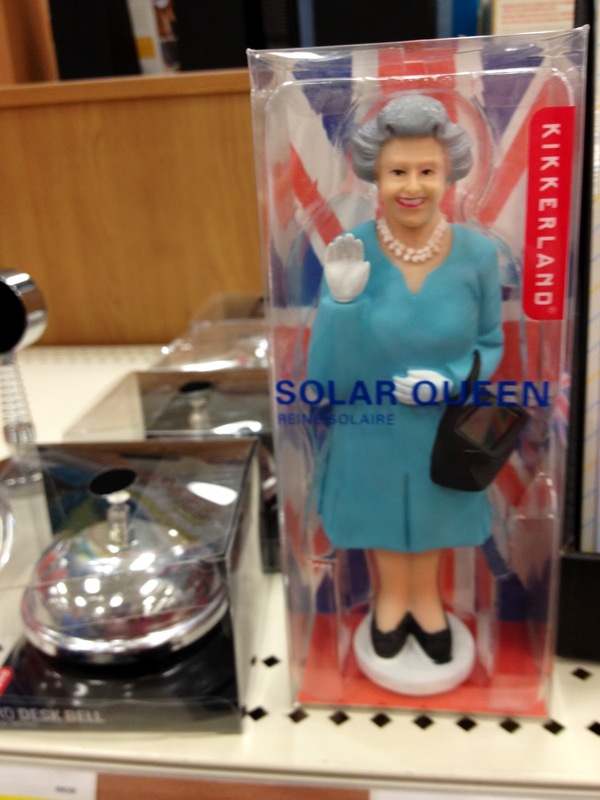 This Solar Queen from Kikkerland waves when the sun's rays touch her! Hilarious to put in a kitchen window above the sink, don't you think? 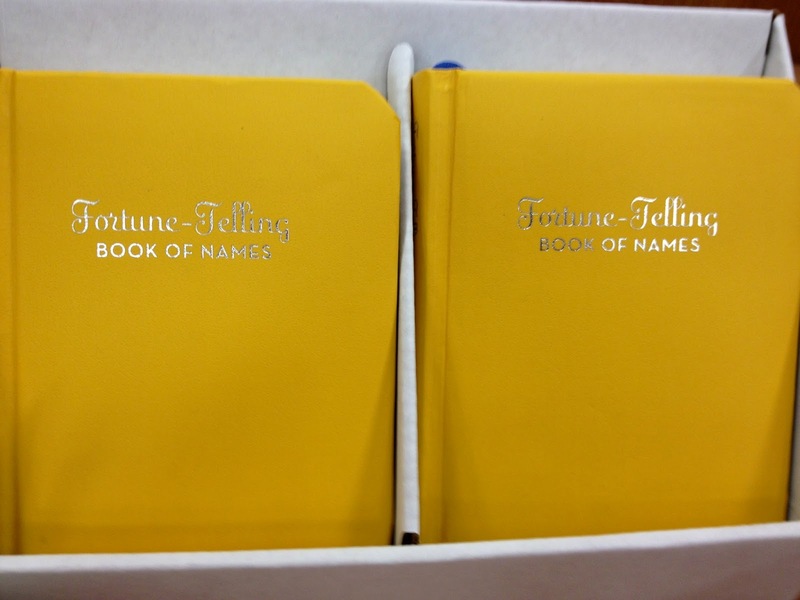 The Fortune-Telling Book of Names would make an excellent birthday or baby gift. 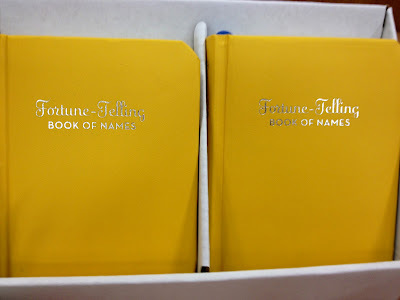 I found my name and my minnies' names in the book and the fortunes we found were right on target. 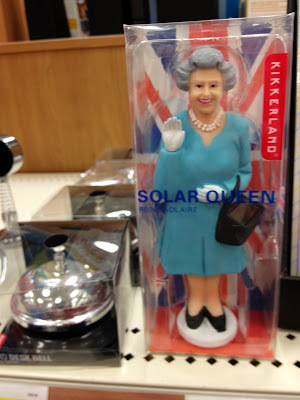 On every trip to Target, I always check the "dollar section" and usually find at least one thing. We're planning the minnies' 11th birthday party, so we found a few cute party trays that are a steal at only $2.50 each! We also found this adorable floral tape measure for only a dollar! The girls took forever to choose their goodies. Why is it that every visit to Target takes several hours?? The minnies skipped the toy section entirely and headed straight to accessories! Alexia chose a green patent belt, a flower hair clip, and houndstooth shoe laces. Natalia chose a purple zebra print scarf similar in shape to my Murfee scarves and some zebra shoe laces. She's really into zebras right now! So much fun! 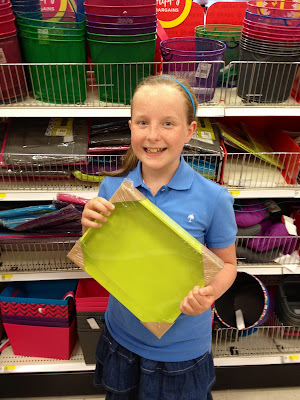 What are some of your favorite finds at Target? My daughter adores stacking dolls and has several collections. I will have to check those out for her upcoming birthday! THanks for the tip! I absolutely love the $1 section! 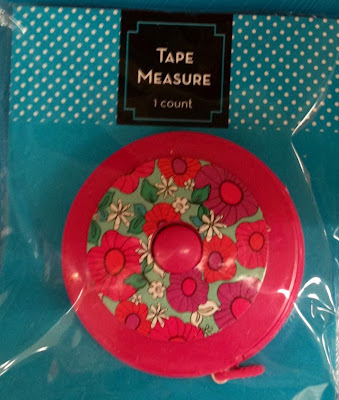 I just bought that tape measure...and an ice cube tray...and a ton of stationery. And I think we go to the same Target! I need to stock up on tape measures....I am always looking for one. Great Target finds! I am now headed there tomorrow! Thanks for sharing! 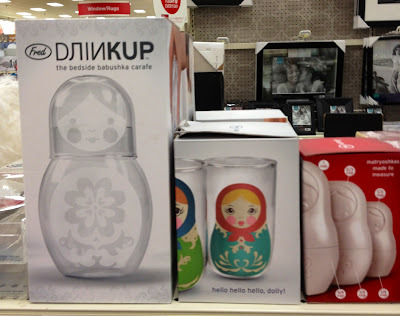 My daughter LOVES matryoshkas and I ordered those measuring cups online. I'll have to take a run to Target. I think she'd love the carafe in her room.